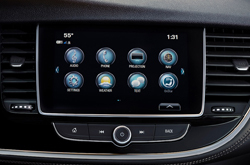 What's New for the 2019 Buick Encore? Much has changed since the Buick Encore wowed visitors when it was unveiled at the 2012 North American International Auto Show in Detroit. The subcompact SUV segment has now become crowded and competitive, but a combination of elegant styling, spirited performance and intuitive features have helped the diminutive Buick off-roader to carve out a niche for itself by increasing its sales year after year to become the company's best-selling model. 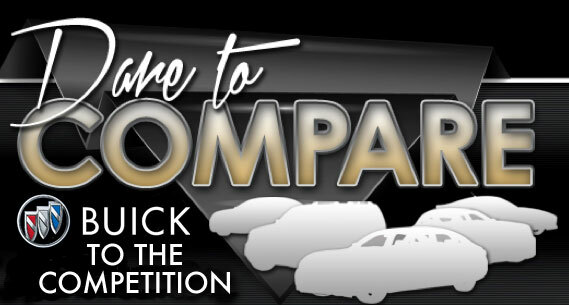 Glowing reviews and the promise of robust resale values initially attracted customers to the Encore, but it is the SUVs comfort, durability and practicality that kept them coming back. Buick refreshed the Encore in 2017 with new bodywork, improved engines and lower prices, so few changes have been made to the hot-selling SUV for the 2019 model year. Seeker Blue Metallic and Satin Steel Gray Metallic have been added to the selection of colors on offer while Black Cherry Metallic, Coastal Blue Metallic and Graphite Gray Metallic have been dropped. Buick is also offering a new safety package on the 2019 Buick Encore. The Safety Package II, which is available on vehicle equipped with 1SL or Essence trim, combines advanced safety features like a lane departure warning system, forward collision warnings and front and rear parking assist with useful convenience features such as Rainsense windshield wipers an ionizing air filtration system. How Does the 2019 Buick Encore Stand Out? The Encore with 1SV trim is packed with useful features and luxurious touches. Exterior styling is enhanced with deep tinted glass, body-colored door handles with chrome accents and 18 inch alloy wheels. The interior is loaded with convenience features like Bluetooth, a sophisticated touch screen infotainment system, a six-way power driver's seat and a built-in Wi-Fi hotspot. The Encore Preferred ups the ante with an available moonroof and safety package that includes a blind spot monitoring systems and rear cross traffic alert technology. Opting for the Sport Touring model gives Encore buyers features including remote start and fog lights, and this is offered with an innovative Intellilink navigation system and the company's more powerful 1.4-liter turbocharged engine. Other available features on the Encore Sport Touring include automatic dual-zone climate control and an upgraded stereo system with Bose speakers. The Encore Essence is top of the line Buick model, and includes as standard many features offered as options on other trim levels. Buyers who choose the Essence trim level are rewarded with luxury features like a leather appointed interior, a heated steering wheel and heated front seats. A navigation system and moonroof are standard, and even the rear window wiper on the Encore Essence is rain-sensing. Essence buyers can also opt for the Safety Package II, which is new for 2019. Is the 2019 Buick Encore a Fast SUV? The 2019 Buick Encore is offered with two engine choices, which have both been developed to deliver a winning combination of performance, fuel economy and reliability. The standard 1.4-liter DOHC turbocharged engine provides lively acceleration and impressive hauling with 138 horsepower and 148 pound-feet of torque, and it does this while using Variable Valve Timing and sequential multi-port fuel injection to deliver better than 30 MPG on highways. Encore buyers who select the Sport or Essence models can opt for a 1.4-liter turbocharged engine featuring Spark Ignition Direct Injection that delivers 153 horsepower and 177 pound-feet of torque for even more impressive performance and features Start-Stop technology to save even more gas during city driving. Both 2019 Buick Encore engines are mated to a 6-speed automatic transmission that has been praised by reviewers for the smoothness of its shifts. 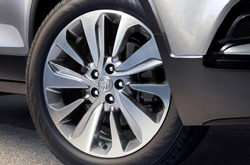 The Buick Encore became one of the country's most popular subcompact SUVs largely because of its luxurious ride and impressive array of safety features. All Encore models protect their occupants with standard anti lock brakes, 10 airbags and the innovative Stabilitrak traction control system, and sophisticated features like lane departure and forward collision warning systems, rearview mirrors with blind spot monitoring and a rear cross traffic alert that warns reversing drivers about the presence of approaching vehicles are available.